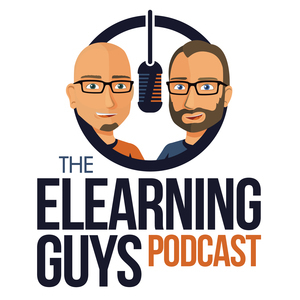 We found 10 episodes of The eLearning Guys with the tag “storyline”. What do you need to be careful about when localizing a course? Nejc and Dave take a look back at the technologies they used. Nejc and Dave talk about the stuff they have been up to. Nejc and Dave discuss many different ways navigation can be used in a course and what role it plays. Nejc and Dave talk about 25 Storyline tips and tricks to make your development ride more smooth. Nejc and Dave take a look at how you can use custom Freeform interactions for your projects.